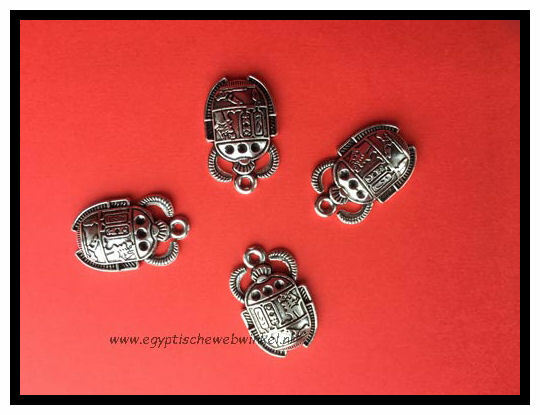 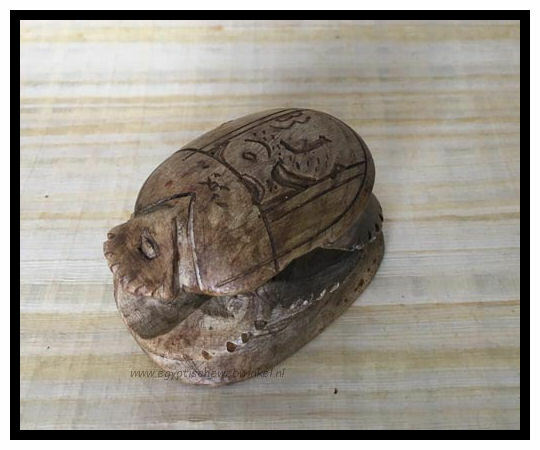 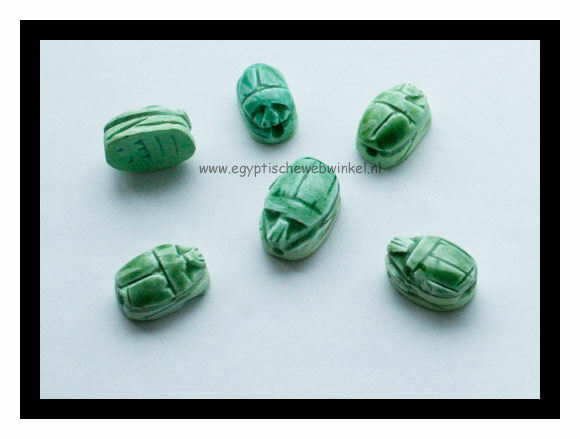 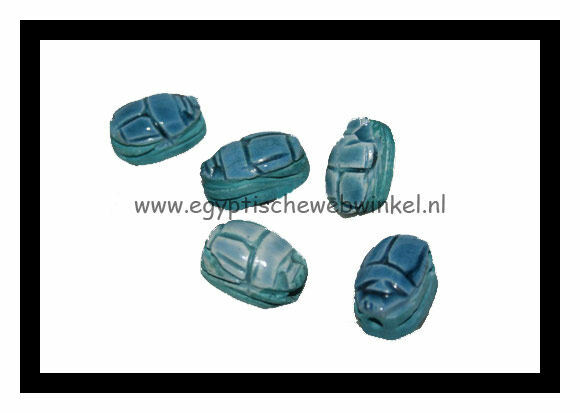 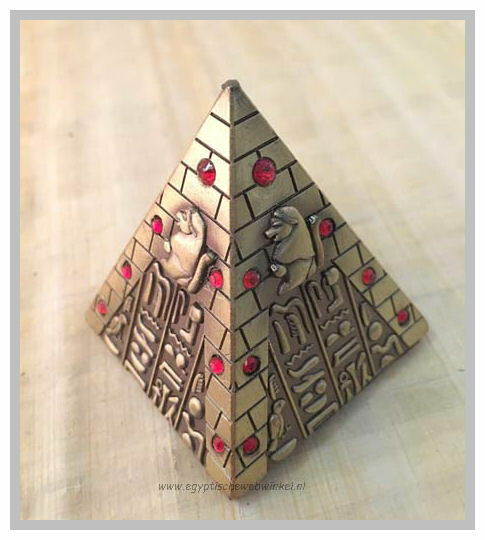 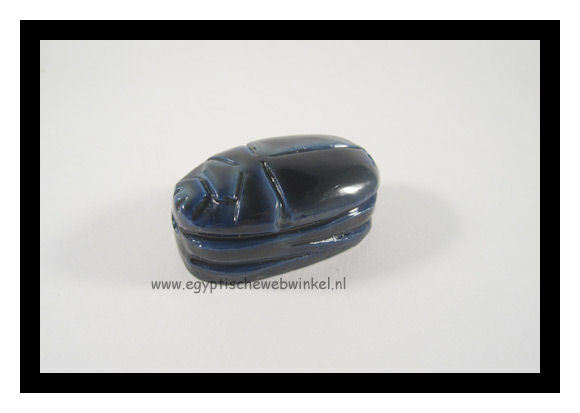 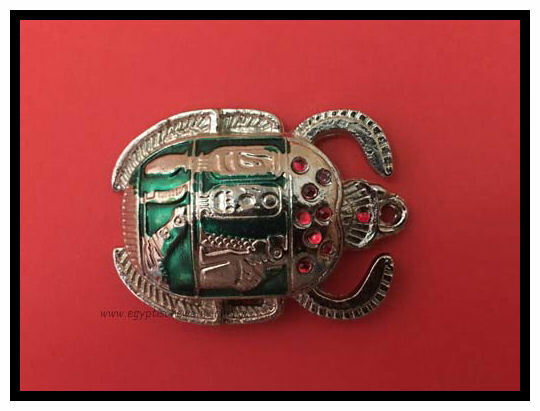 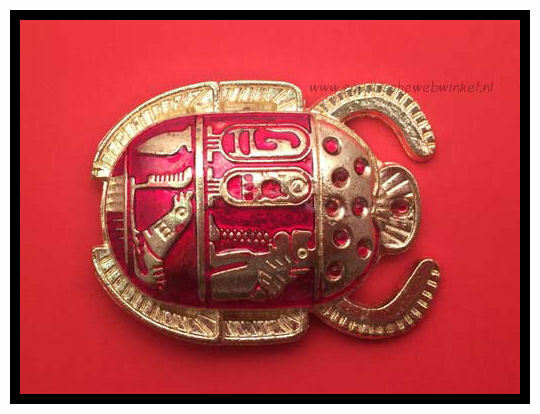 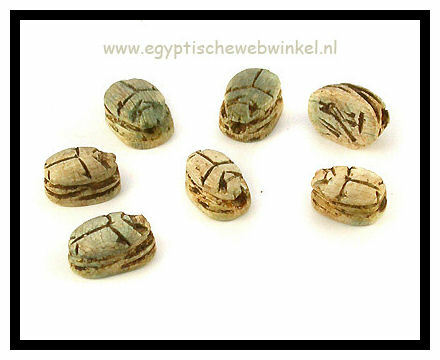 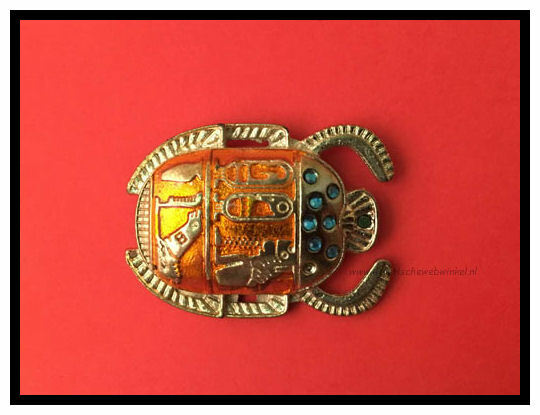 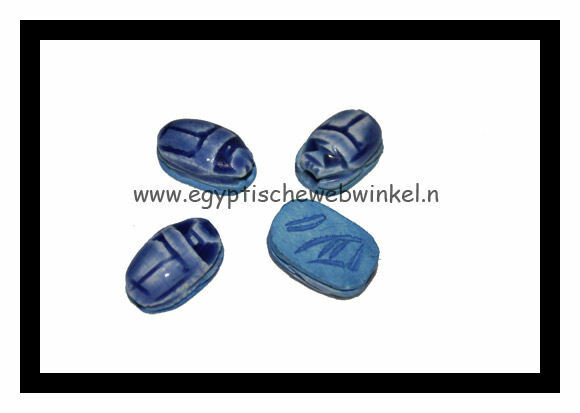 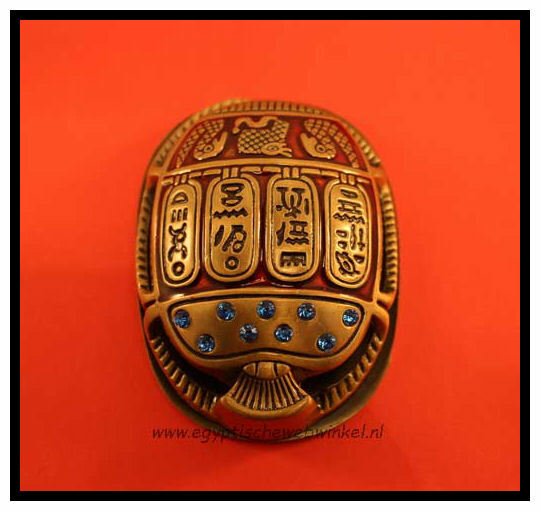 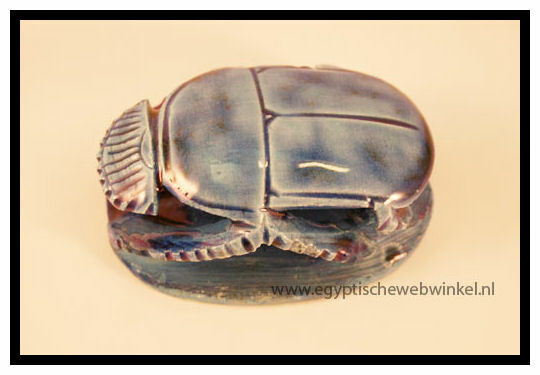 In ancient Egypt, the scarab (Khepri) was the symbol of the creative forces of the rising sun. 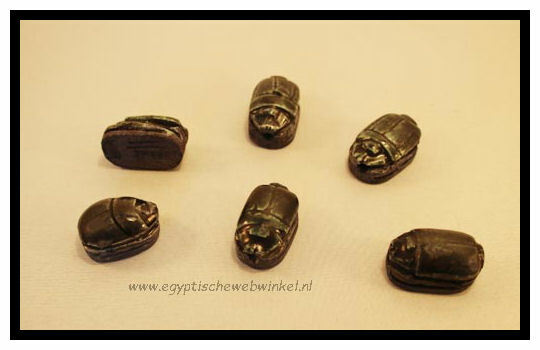 Scarab is actually the name of a group of dung beetles. 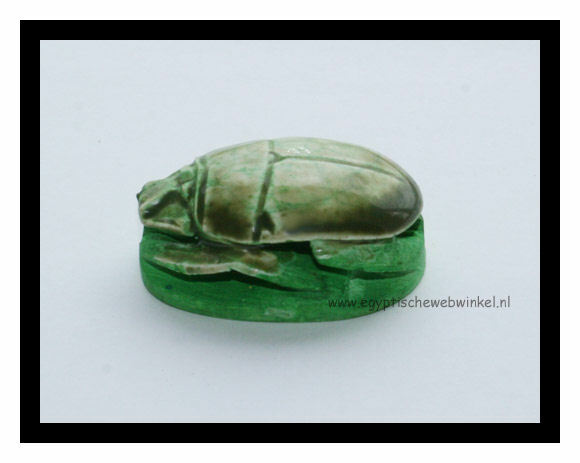 This beetle was famous for his habit of rolling balls of dung along the ground and depositing them in its burrows. 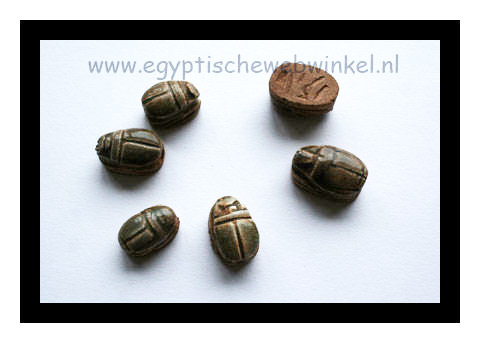 The female would lay eggs in the ball of dung. 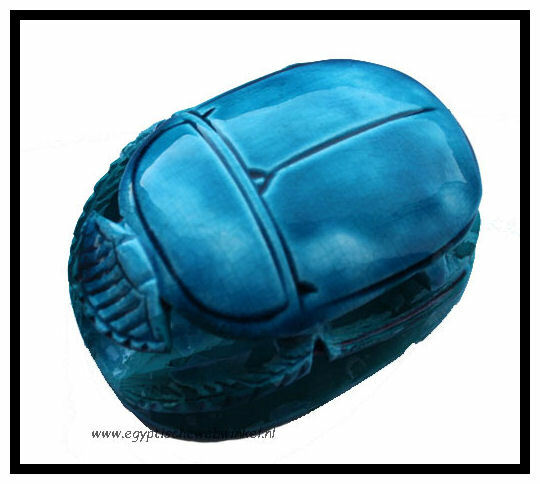 When they hatched, the larvae would use the ball for food. 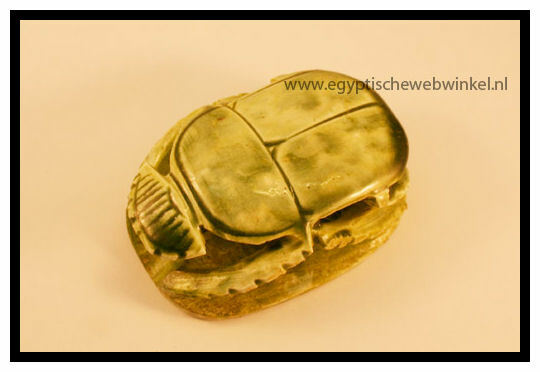 When the dung was consumed the young beetles would emerge from the hole. 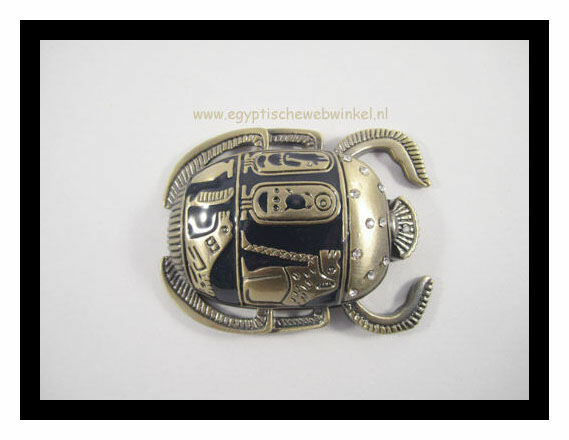 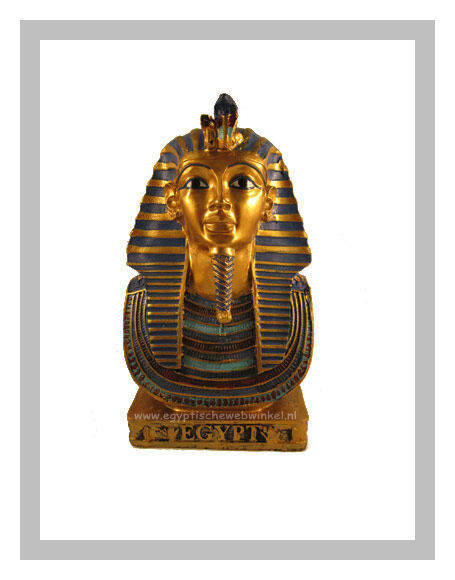 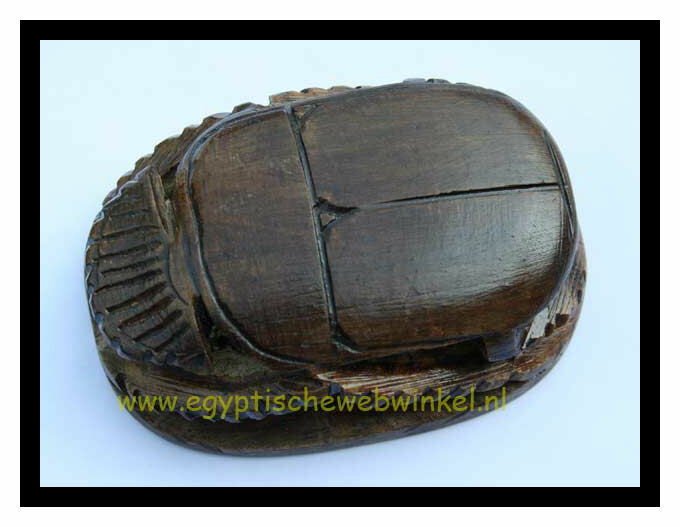 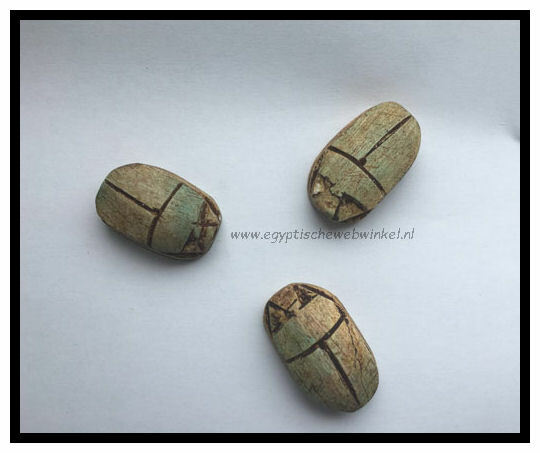 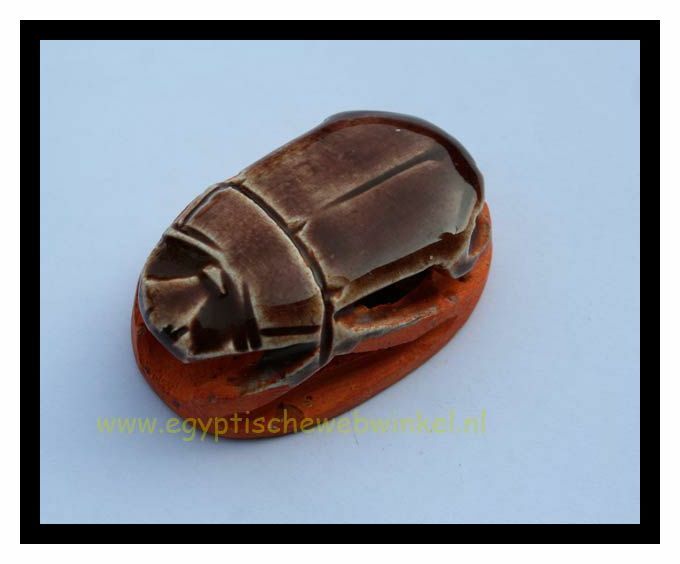 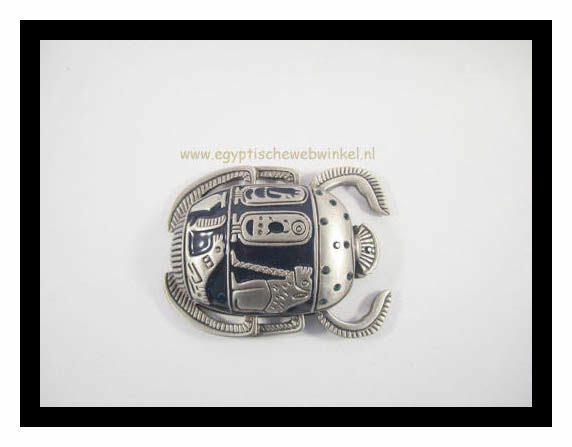 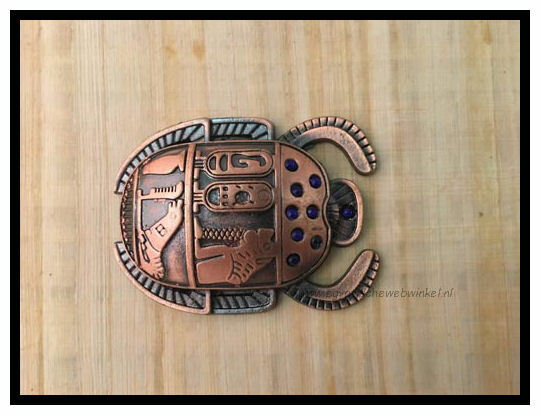 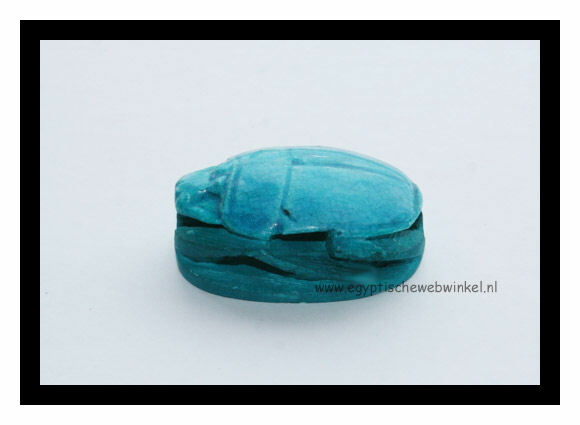 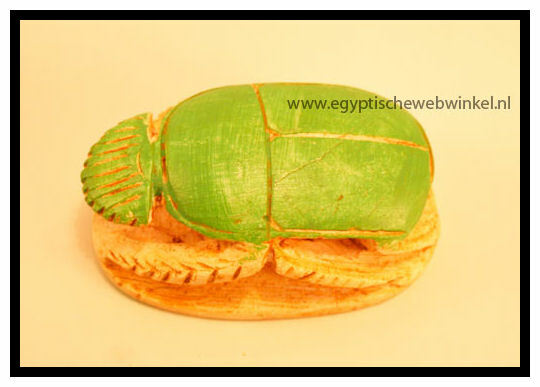 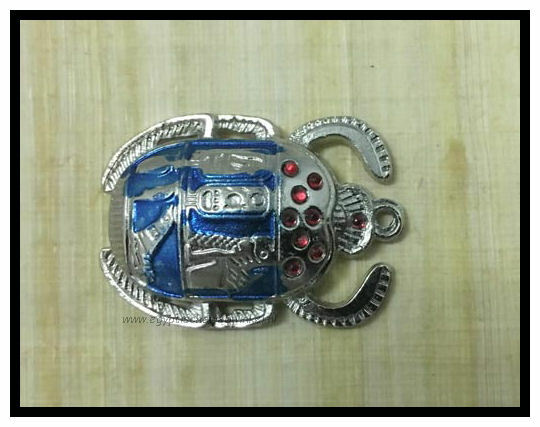 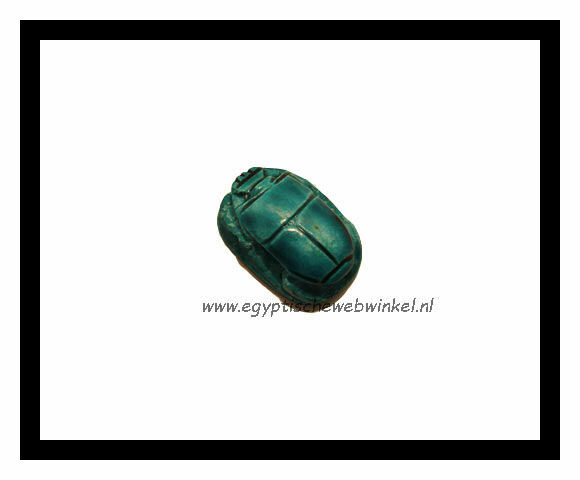 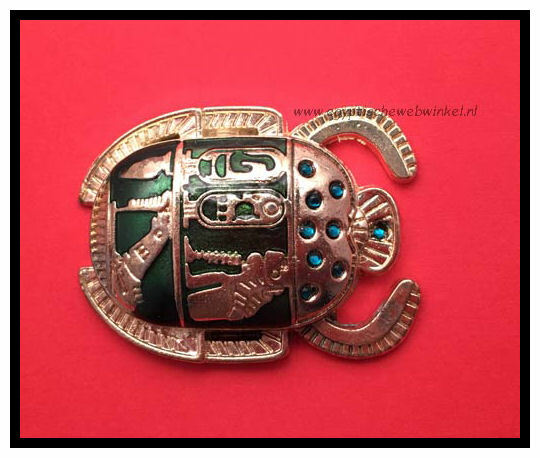 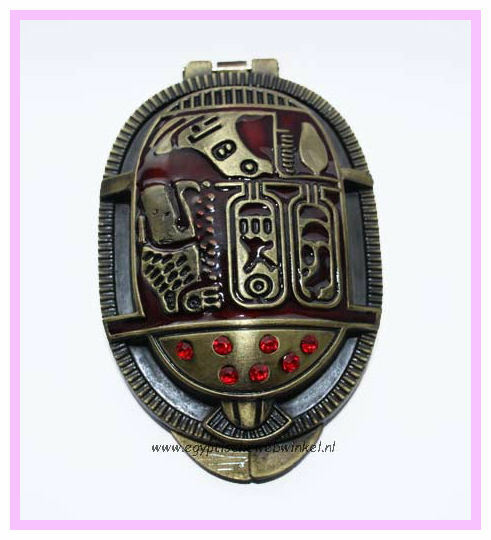 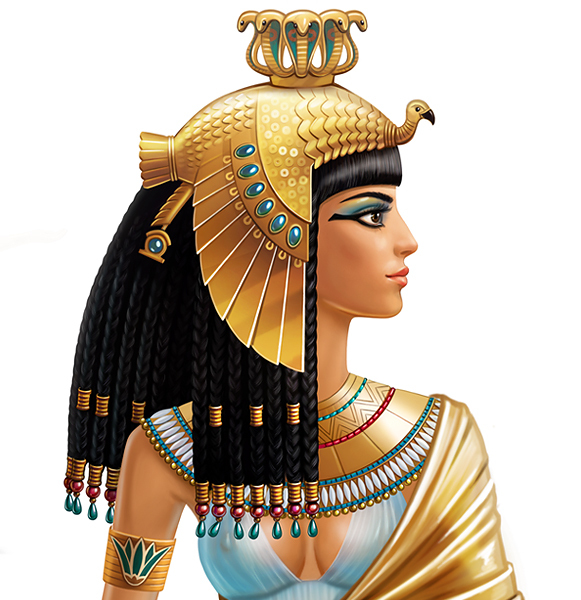 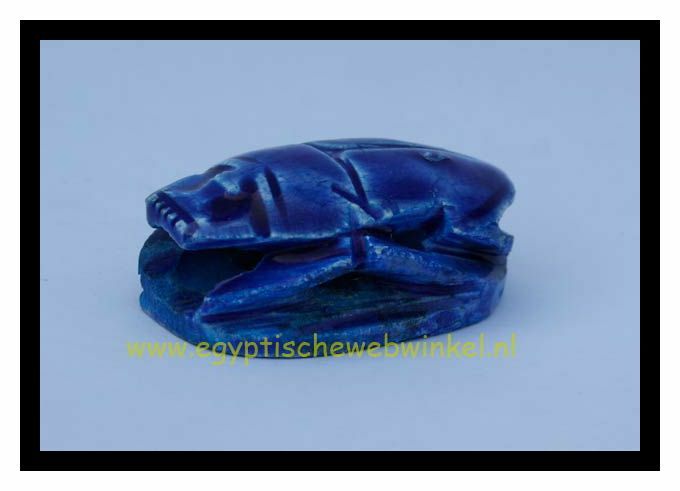 The scarab was therefore in Egyptian mythology regarded as a sacred animal. 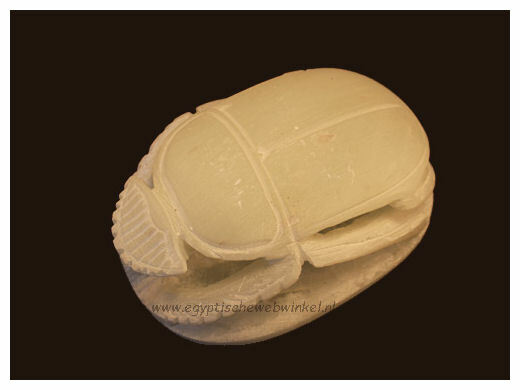 In hieroglyphics, the scarab represented as creation or transform.